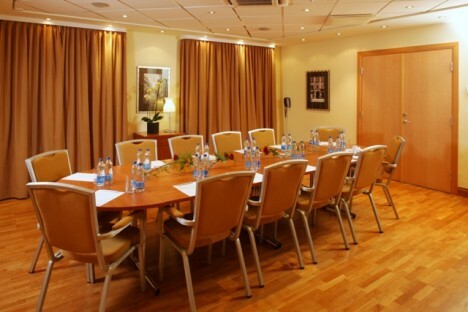 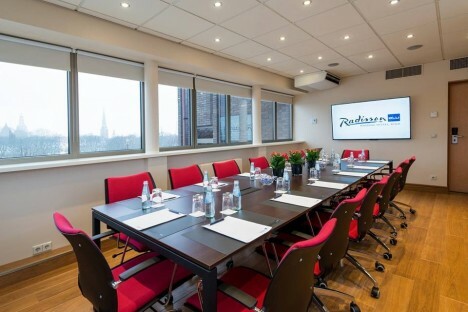 The hotel boasts 8 modern meeting rooms on the ground floor, including it's crown jewel - Piramida restaurant area. 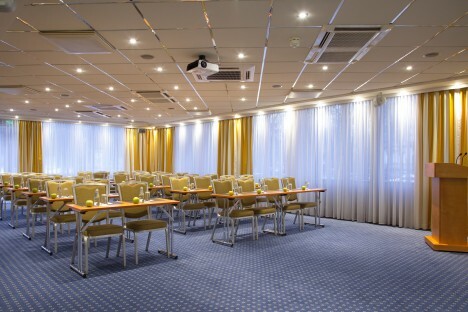 Three of these versatile rooms can be combined to create a larger space. 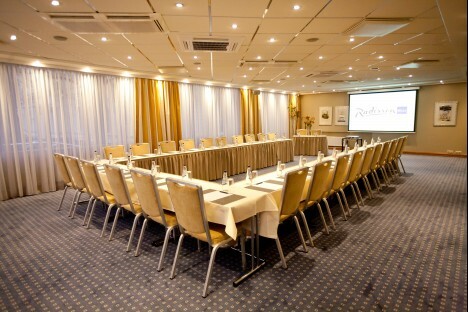 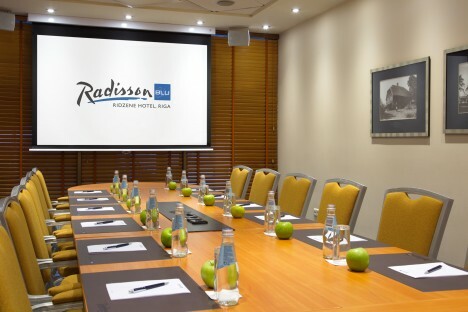 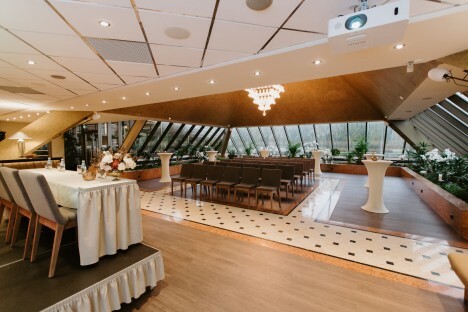 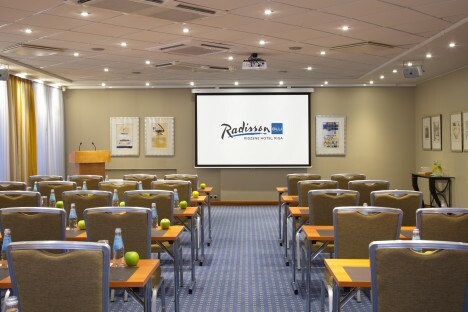 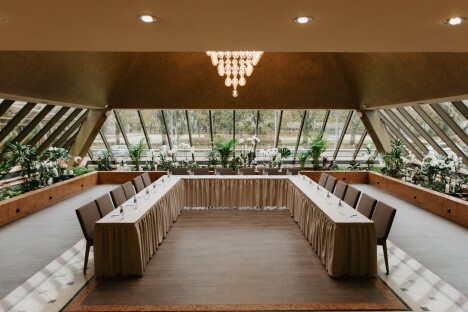 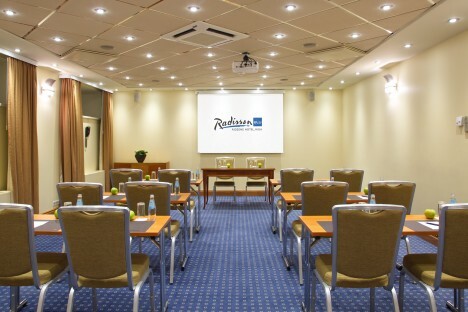 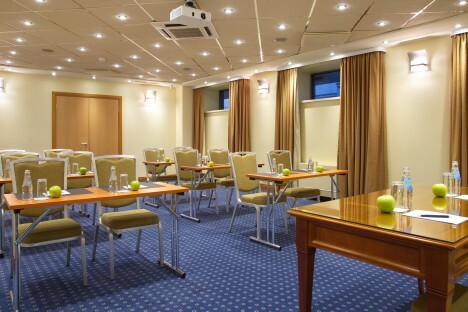 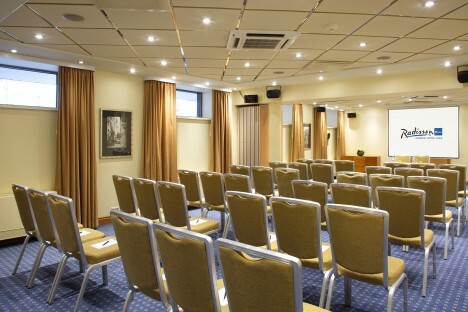 Kronvalds, the largest conference room, covers 94 square meters and can host up to 90 guests theater style and 100 people for a reception. 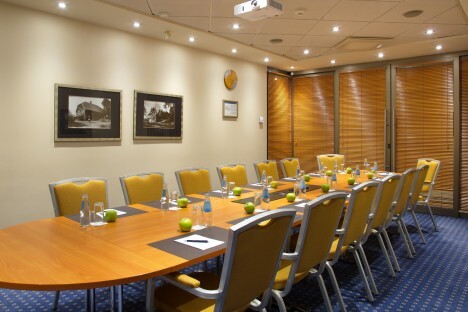 Located on the 5th floor, the Ziedonis room lends beautiful views of Esplanade Park and Old Town to your event.